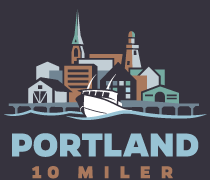 Registration for the second Annual Portland 10 Miler is now closed. The event is 100% sold out. The event has a hard cap of 2,100 registrants. There is NO onsite registration or wait list. Please subscribe to our mailing list below to receive information on 2020 registration dates. A portion of each registration fee will be donated directly to our non-profit partner Spurwink who provides behavioral health and education services for children, adults and families. In addition to donating a portion of every registration fee to Spurwink, we encourage our runners to set their own fundraising goal for Spurwink, or any charity close to their hearts. By setting up a fundraiser on Crowdrise.com, participants can raise money directly for their chosen cause! There are no fundraising minimums or requirements. 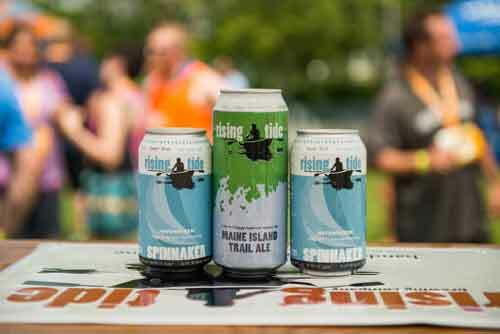 All registered race participants will receive a branded race shirt and finisher’s medal and a complimentary post-race beer from Rising Tide. The Portland 10 Miler extends its thanks to those serving our country. We invite active, reserve members and veterans of all military branches to email us to receive a discounted registration. Registered participants will receive a race bib and timing chip at registration which will be held April 27th at Rising Tide and on race day at Edward Payson Park. 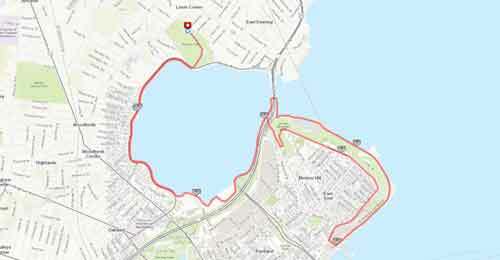 We strongly encourage participants to pick up their bib and shirt on Saturday to alleviate race morning delays. 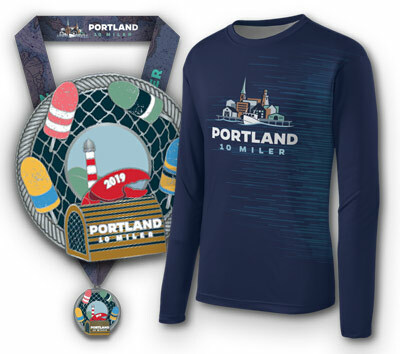 All registered participants will receive a long-sleeve tech shirt with Portland 10 Miler artwork on the chest, sleeve and back. All finisher’s will receive a finisher’s medal. 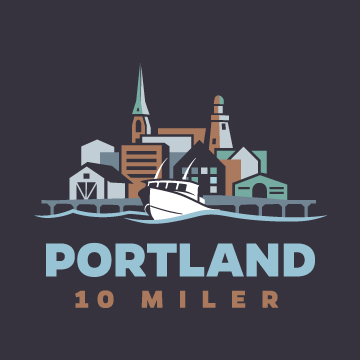 Join our mailing list below to stay up to date on all Portland 10 Miler promotions and the most current race information.